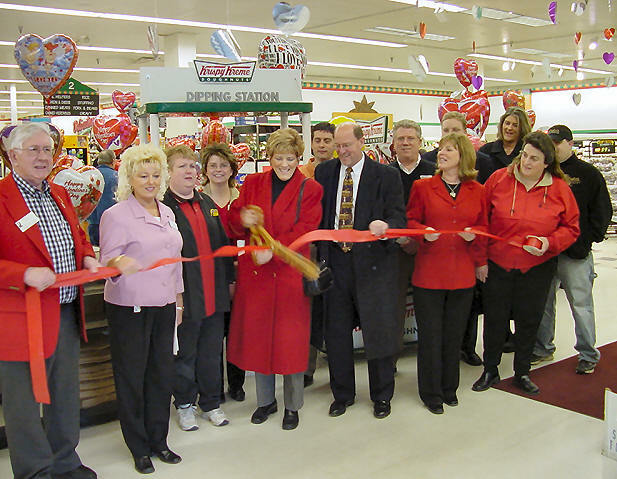 [FEB. 14, 2005] You can now get those delicious "original glazed doughnuts" at the Kroger store in Lincoln. The outlet just celebrated its opening this morning. Regional and local Kroger managers, Lincoln Mayor Beth Davis, City Clerk Melanie Riggs and Lincoln/Logan County Chamber of Commerce ambassadors were on hand to cut the ribbon. Other Kroger stores have Krispy Kreme doughnuts as well. Bloomington and Decatur began in October 2004. Taylorville has just been added. 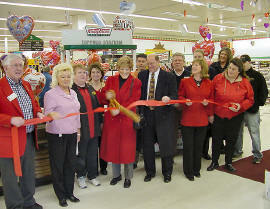 The Illinois, Missouri and northwest Indiana Krispy Kreme stores are owned and operated by Sweet Traditions LLC. The Lincoln doughnuts will arrive fresh daily from their St. Louis bakery.